Skills Provision’s recruitment of automotive positions continues with 4 Car Panel Beaters who again are required for locations across the Netherlands and Germany. 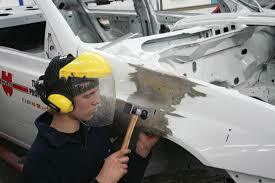 These positions require a minimum of 5 years’ experience and involve the repairing of chassis and bodywork. It is expected that this experience will include the ability to carry out welding and work with the newest press/pull equipment.